I took the following image a couple months ago of one of my old laptops to accompany the story. 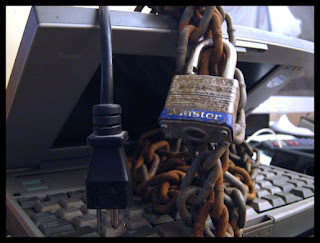 This is my solution to the problem of internet security. You took security to another level.